Labour’s Shadow Home Secretary Yvette Cooper will join the panel for the PinkNews Debate ahead of the general election. The debate, which will take place on 19 March at 6pm at a central London venue, will be hosted by Newsnight anchor Evan Davis. Green Party leader Natalie Bennett will also appear on the panel. Others will be announced soon. 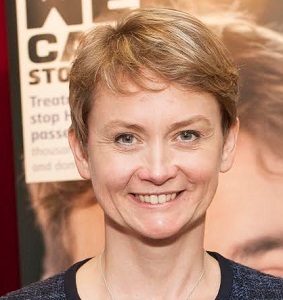 Yvette Cooper was named the Politician of the Year at the inaugural PinkNews Awards in October 2013. The debate is generously supported by KPMG. Other sponsors are to be announced soon.